The parties to this Amendment are the Partners in a general partnership agreement (the "Partnership Agreement") formed on the 19th day of April, 2019. This election will prevail over any discretion or authority invested in the ‘tax matters partner’ by the Partnership Agreement. 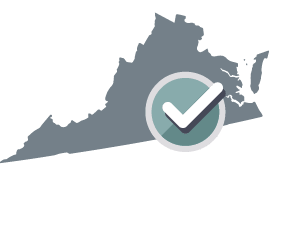 The Partnership Agreement will be governed by and construed in accordance with the laws of the Commonwealth of Virginia. What is a Partnership Amendment? A Partnership Amendment, also called a Partnership Addendum, is used to modify, add, or remove terms in a Partnership Agreement. A Partnership Amendment is usually attached to an existing Partnership Agreement to reflect any changes. When is a Partnership Amendment used? A Partnership Amendment is used when two or more partners want to make changes to their Partnership Agreement. Partners can be individuals, corporations, Limited Liability Companies (LLCs), or other general partnerships. The amendment is attached to the Partnership Agreement to reflect the changes that the partners agreed upon. A Partnership Agreement may be amended in accordance with the terms of that agreement. What if there have been previous amendments in the Partnership Agreement? If the Partnership Agreement has been amended before, it's important to note in the most recent addendum that there have been previous amendments. 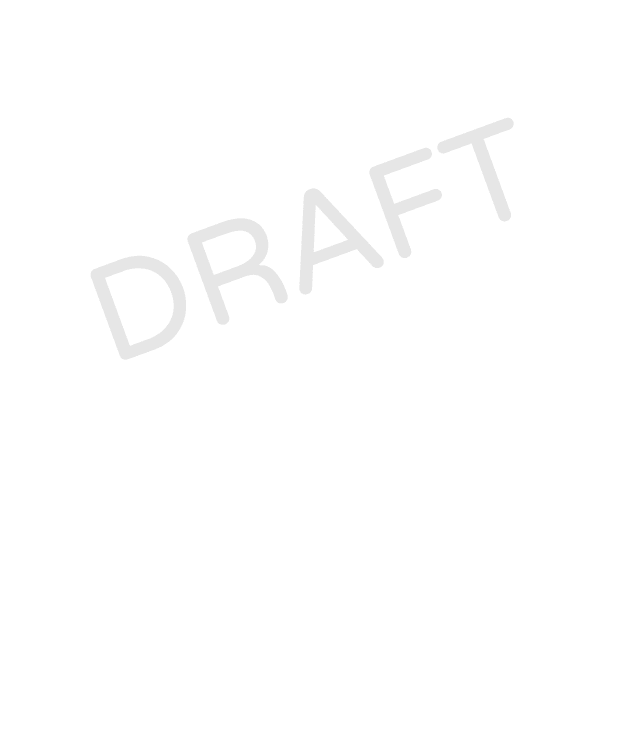 The order of the amendments helps to ensure that the document is up-to-date. All amendments should be attached to the original Partnership Agreement. If you need to make major edits to the Partnership Agreement that changes most of the original content, or you've made a large number of amendments in the past, it may be better to make a new Partnership Agreement rather than use an amendment. 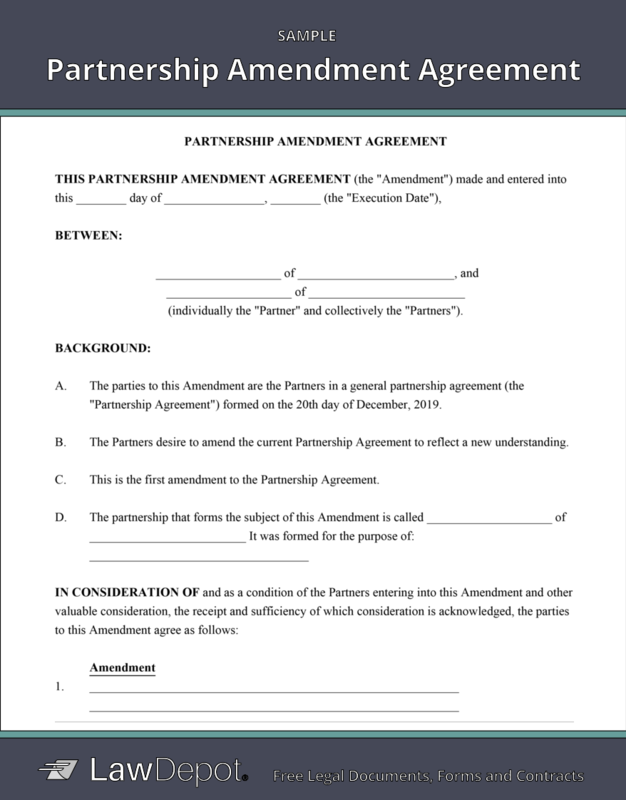 What is included in a Partnership Amendment? Partnership Agreement: A Partnership Agreement is a contract between business partners that outlines the rules of the partnership and the rights and responsibilities of the partners. Business Plan: A Business Plan is a document that outlines the goals, operations, and decision-making processes for a new or existing business. It can also be presented to investors as a business proposal to secure funding. Notice of Withdrawal from Partnership: A Notice of Withdrawal from Partnership is a document that informs the other party or parties in a business relationship that one or more partners is leaving. Assignment of Partnership Interest: An Assignment of Partnership Interest is a document used by a business partner to transfer their stake in a partnership to a third party. Personalize your Partnership Amendment template.